The tread on your tire can tell you more than how many miles you’ve logged. Worn tires should be replaced when the tire’s tread wear bar meets the tread. Visit your authorized Mazda dealer for a Full Circle Service inspection to check the wear of your tires for your safety and to maintain your vehicle’s best performance. Note: Measure tread depth away from the tread wear bar. Have your tires inspected regularly. Do not drive on a damaged tire or wheel. Tire designs vary dramatically, depending on their intended use, and are typically designed for specific types of cars and trucks. Every original equipment tire a Mazda dealer sells has been rated by Mazda to be the best available for a specific model and application. 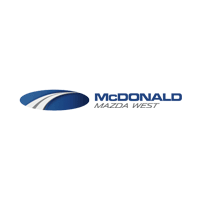 By purchasing replacement tires directly from your Mazda dealer, you’re assured the convenience of full service, competitive pricing, and Mazda specific expertise and assistance. Use this handy guide to familiarize yourself with the different types of tires available. Then consult your Mazda dealer about which ones are best for you. Know your tires – Take a good look at your tires and inspect them for uneven wear and damage, tire pressure or simply have your Mazda technician do it for you. Rotate your tires – Getting your tires rotated will ensure even tire wear and help your tires to last longer. Respect your tires – Maintaining your tires goes beyond a smooth, safe drive. Correctly maintained tires will help reduce the wear and tear on suspension parts and will extend the life of your vehicle. All-season tires with a wraparound block-type tread design offer increased traction in mud and snow, and may be used year-round as standard passenger car or light truck tires. The tread compounds and tire construction used with all-season tires are formulated to convert less energy to heat when flexing. This helps reduce rolling resistance compared to previously designed steel-belted, radial-ply tires. Winter tires are designed specifically for extreme ice and snow conditions and will optimize ABS and Traction control systems. They typically feature special rubber compounds with heavy tread blocks, sipes, and biting edges for the ultimate in snow and ice performance. Even if your vehicle features all-season tires, if you live in the snow belt or drive in snow and ice, you should consider purchasing an additional set of winter tires. Touring tires combine the features of performance tires with the features of all season tires. They meet the needs of high-performance cars in dry conditions but also handle light snow and rain. All-terrain tires are available on several light trucks, primarily 4×4 models. Designed for both off-road and on-road use over a variety of surfaces, all-season tires generally have a deeper, wider tread design than typical all-season tires, allowing for better grip.